Cops Save Tiniest Siblings From Inside Flooded Cave – Animal Lovers Unite! They were cold, scared and their mom was nowhere in sight — but at least they had each other. As their den filled with water, the two bear cubs cried out, hoping that someone would come along to help them. After a few minutes, the kindest police officers rushed to their rescue, and the bears were pulled to safety. They were terrified, but their lives were going to be so much better. 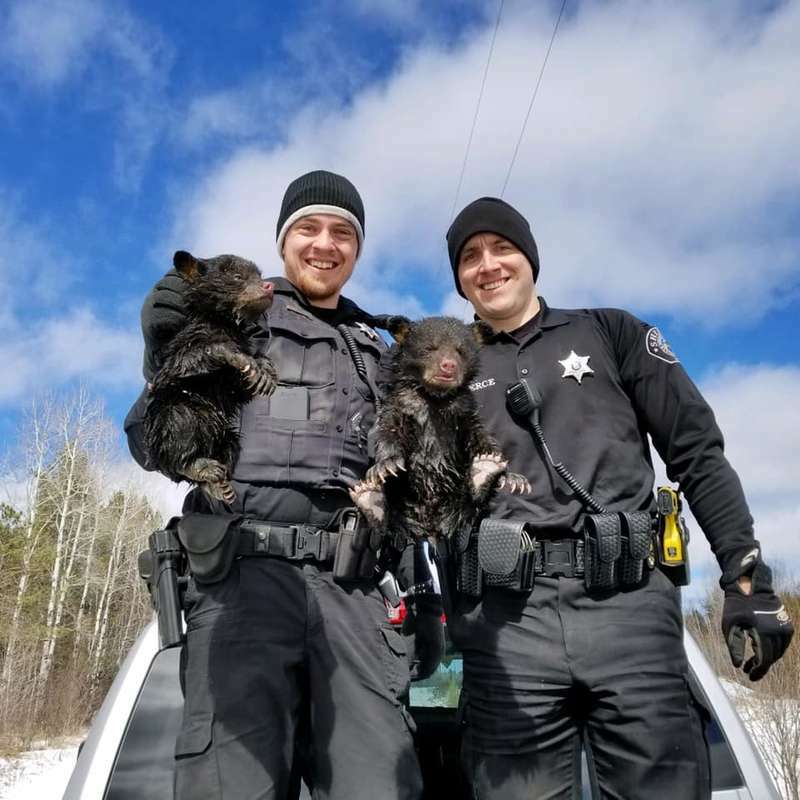 “I guess sometimes mothers abandon their den when something catastrophic happens like a flood,” Jon Pillath, a coworker of the officers who arrived to help, told The Dodo. “Their den was flooded out, the mom flew the coop but supposedly she was still nearby. 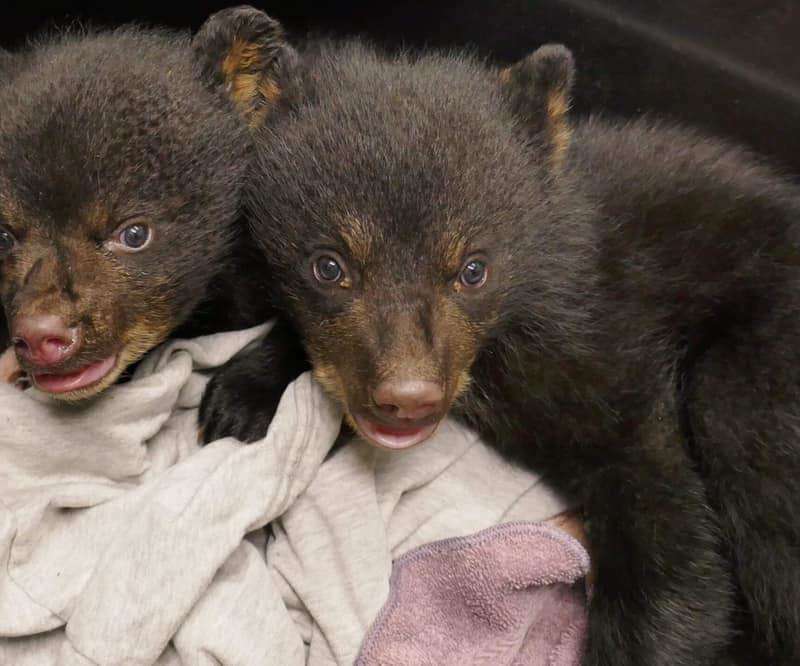 They were able to get the cubs from where they were and bring them into their squads to warm up.”The two bears were orphaned, and if it weren’t for their two kind rescuers, they may not have seen another day. Luckily, their fate changed forever — and after some routine medical treatments, both are doing great. The cubs are a brother and sister pair, assumed to be only a few months old. They were born near Ashland, Wisconsin. 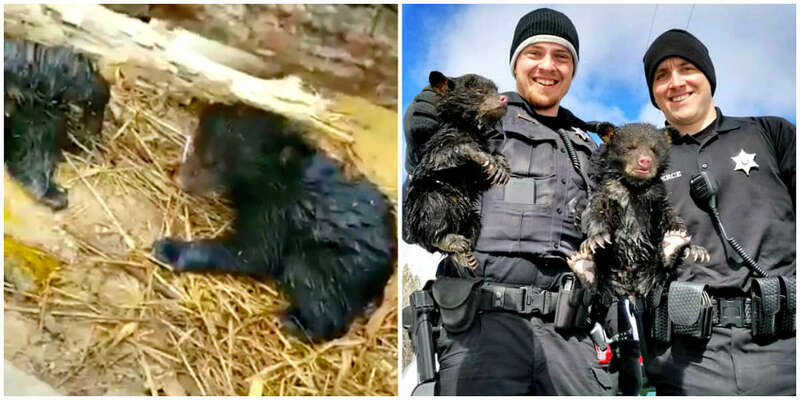 The officers tried to leave the cubs out in the open so that their mom would hear their cries, but unfortunately, they believe she was chased off by a dog in the neighborhood and wouldn’t come back. 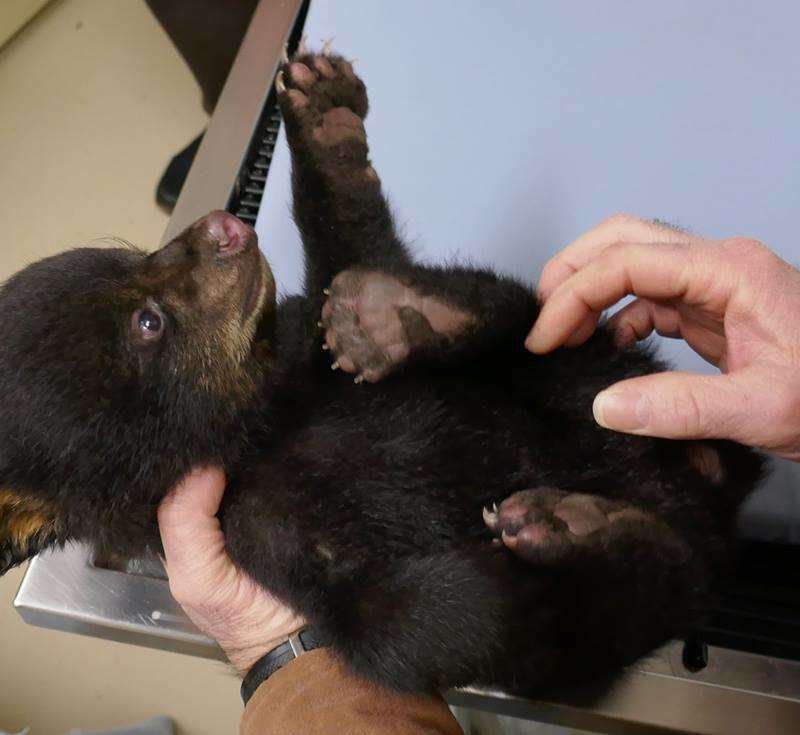 The two cubs are currently living at Wild Instincts Animal Hospital in Rhinelander, where the staff is taking care not to habituate the cubs to humans. This means people are not allowed to be overly cuddly to the bears or even speak to them during feedings, as it could potentially make them less fearful of humans — which could sacrifice their safety if they’re one day able to be released back to the wild. After everything they’ve been through, it would be the best reward to see these cubs transition into young adulthood just like they would have in the wild. Thanks to their rescuers, they now have a great chance of doing so.